Before Lanard rebranded its CORPS! line a few years ago, it had been using the Total Soldier title for other military toys. Most examples I’ve seen have included slightly smaller, reduced articulation figures as pack-ins. Think Chap Mei, if you want an idea of what I’m talking about. Each year at the annual Lanard sale, there seem to be a few of these sets lingering around, often in international packaging. I picked this one up because to me it looked different from the usual CORPS! rides. 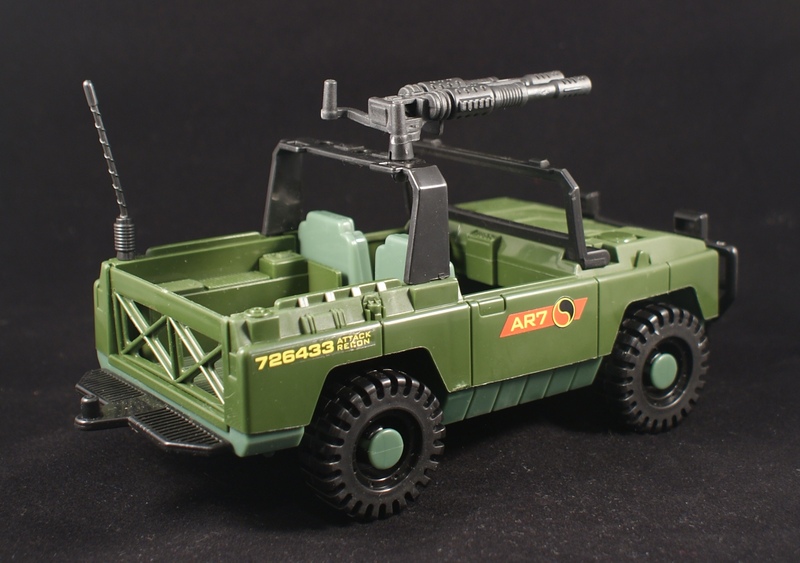 Like the figures that accompanied it, this general purpose vehicle is a bit smaller scaled than others in Lanard’s arsenal. 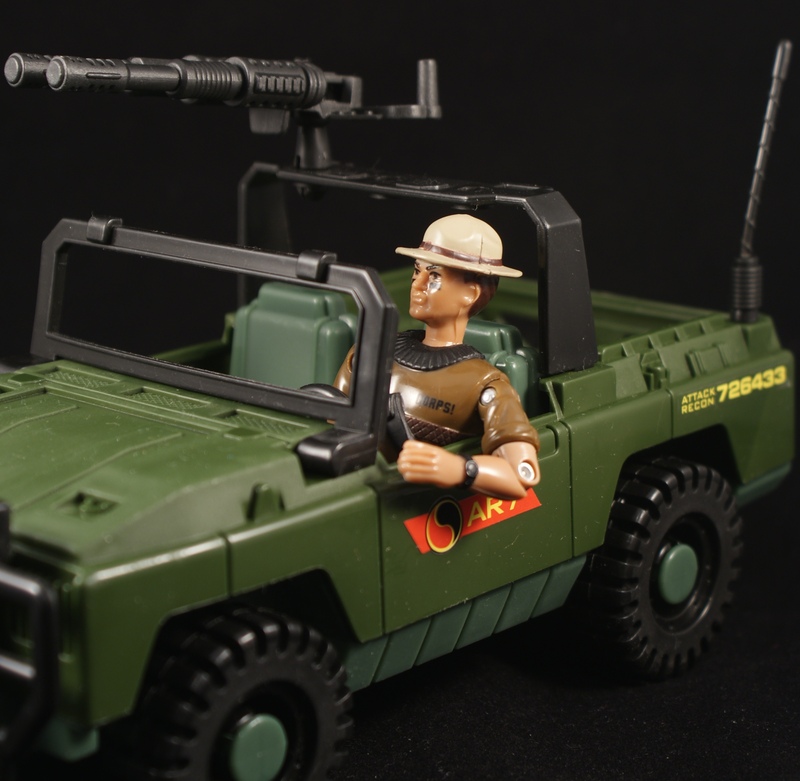 In fact, when I first spotted it, I thought it might make a nice custom staff car for Cobra or the Red Shadows (certainly more modern than the repurposed Indiana Jones number from the 2010 con set). There is a bit of armament aboard, although its ball-jointed method of attachment is none too realistic. The plastic used is a much different quality from the normal hard ABS seen in most other older Lanard sets. I’m reminded of cheap bagged green at men sets of the 70s from the likes of Imperial and Tim-Mee. The entirety of the vehicle feels quite soft, and I’d venture to guess it wouldn’t stand up to being stepped on by even a little one’s feet. Maybe the softness was a safety requirement in other territories before it became standard in the US (see the latest Star Wars TIE Fighter wings and X-Wing nosecone). 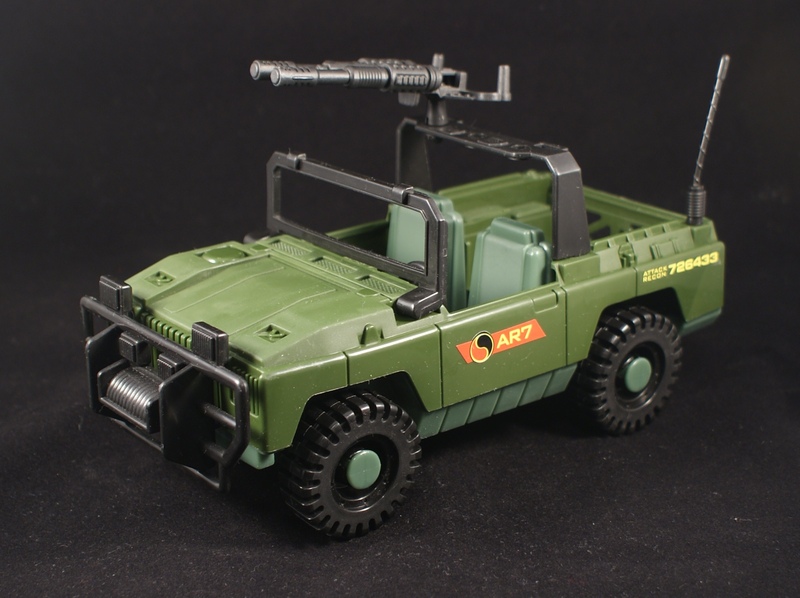 Regardless of its plastic makeup, the vehicle offers a unique silhouette for a 3 & 3/4 inch army, be it heroic or villainous. That’s neat, would look great with the October Guard. That’s a cool little vehicle. Definitely looks like something out of the knock off section on one of the old Christmas catalogs you’ve been posting. 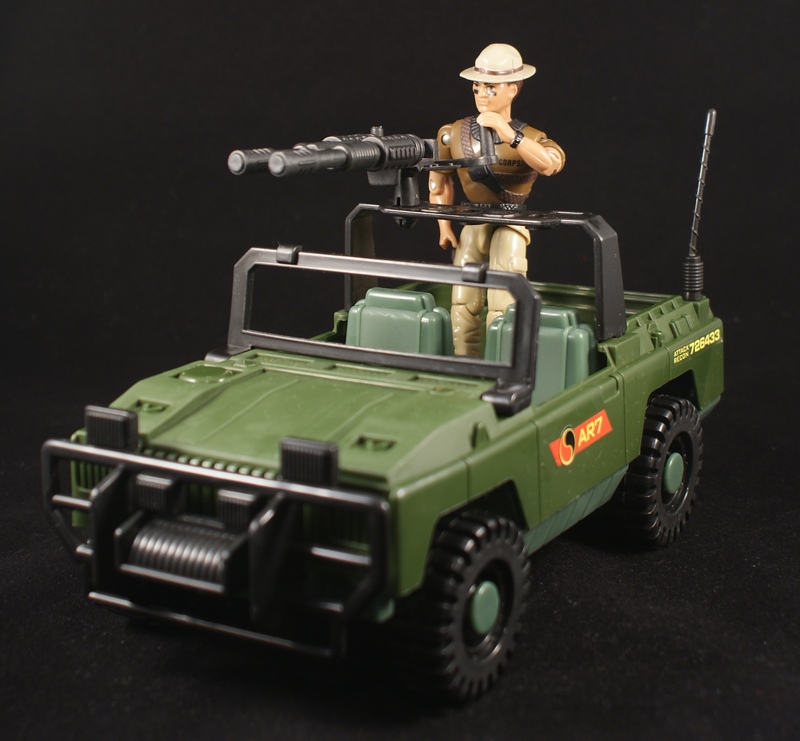 As a kid, I’d have enjoyed something like this that was more generic than the traditional Joe vehicles that could be used for good guy cannon fodder. Now, though, there’s enough of that where things like the plastic quality you describe simply take this out of the running. Has a Land Rover Defender 90 look to it. And at least it has 2 seats, unlike the value jeeps that have shown up at Walmart recently. I would like to get it for my Joe figures, but the doors do not open. But, I wonder if I could customize the doors so they can be opened and closed. It reminds me of the Action Force U.K. exclusive vehicles that were made back in the 1980’s.